These root beer popsicles are filled with creamy vanilla ice cream giving the classic root beer float a fun, new format! 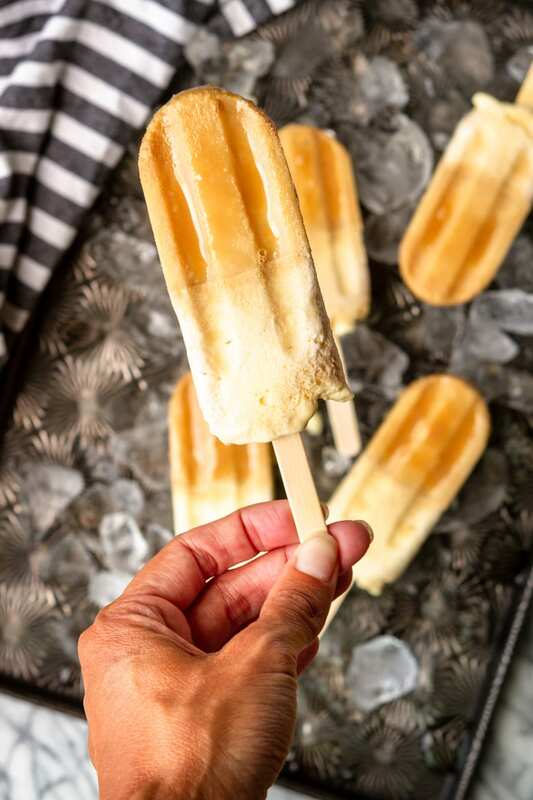 Creamy and full of flavor, enjoy these paletas as is or serve them alongside a root beer float for a delightful summer treat. Root beer floats have long been my favorite sweet summer treat — heavy on the root beer in mine, please! As such, I always make sure to include them on our family summer bucket list. It’s definitely one activity that I, personally, look forward to checking off. There’s nothing like Friday night floats after a hot summer day… And I’m totally not above enjoying one sans kids, you know? Just me and my hubby on our pergola swing out back, sipping root beer floats. Talk about a budget-friendly date night! I’m always up for trying something new, though — like these Creamy Root Beer Float Paletas. Actually, I should thank my girls for the idea. I was gifted a paletas mold at the end of last summer, and since then, they’ve been on a mission to turn everything into popsicles. We’ve had pudding pops, fruit juice pops, yogurt pops, you name it. So when there was a little root beer and ice cream left over after a float night, into the paletas mold they went. And if you’re wondering right now what’s the difference between popsicles and paletas… They’re one and the same — paletas is simply Spanish for popsicles. But it makes them sound a little more exotic and fun, right? 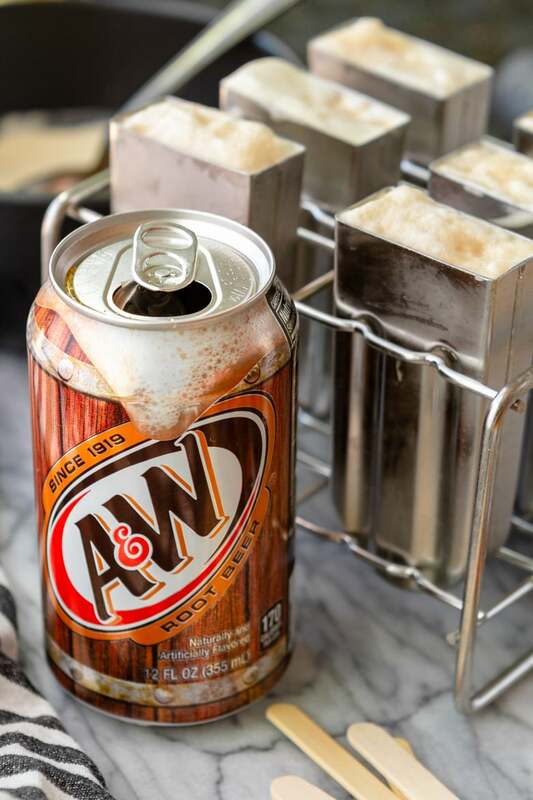 Whether I’m making root beer floats or root beer float paletas, A&W Root Beer is my go-to beverage. I happen to think it’s the best root beer around. Maybe it’s the aged vanilla they use in each batch, or maybe it’s some other secret ingredient… Who knows? IMO, it’s just the tastiest and most delicious. Added bonus — I know that I can count on picking up a 12-pack of A&W Root Beer and some vanilla bean ice cream at Giant Eagle for a steal. One that’s sure to bring smiles all around! 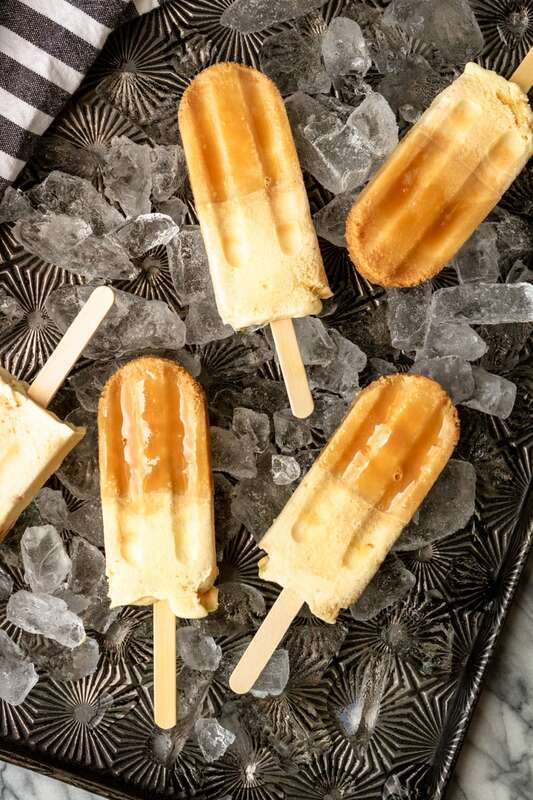 There’s really no secret to making these root beer float paletas. Simply layer softened vanilla bean ice cream with small amounts of A&W Root Beer (in roughly 1:1 proportions) until the mold is full. No mixing required! Spoon off any “float foam”, and keep filling until the mixture is almost to the top. Add your sticks and freeze for 4 to 6 hours until solid. Molds differ in size, so you may need to use a little more or a little less than what I’ve included in the recipe. Either way, it’s the perfect way to use up small amounts of root beer and ice cream. And it’s an especially good way to use up root beer that’s starting to go a little flat, because it reduces the excess foam you need to spoon off. Or just make straight up root beer popsicles with it — waste not, want not! Creamy and full of flavor, these root beer float popsicles are a new and fun way to savor an old classic. Enjoy them as is or serve them alongside a root beer float for even more fun! PIN IT NOW! CLICK HERE TO ADD THIS ROOT BEER FLOAT PALETAS RECIPE TO YOUR POPSICLE RECIPES BOARD ON PINTEREST! Prepare your paletas or popsicle mold according to instructions. Layer equal proportions of softened vanilla ice cream and chilled root beer, spooning off any residual “float foam” until each mold is filled nearly to the top. Insert popsicle sticks and freeze for 4-6 hours or until frozen solid. Dip mold in warm water for 8-10 seconds to remove each root beer popsicle. 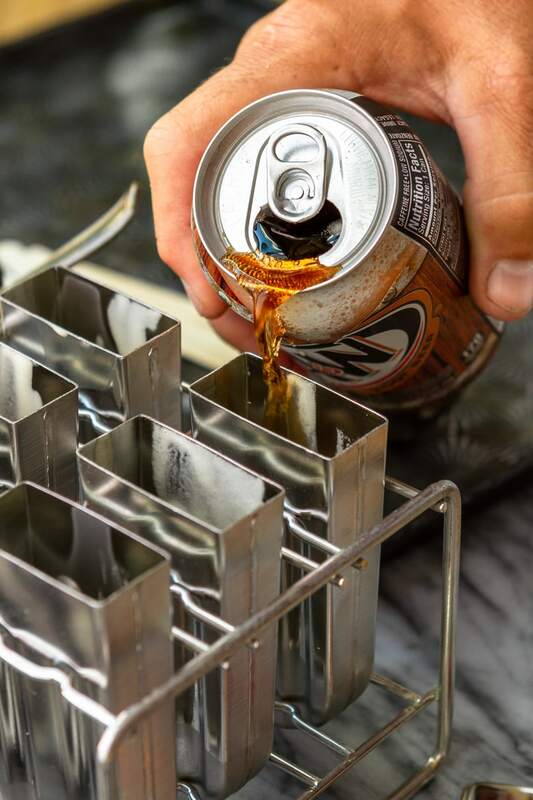 TIP: use up flat root beer in this recipe and avoid all of the “float foam”. 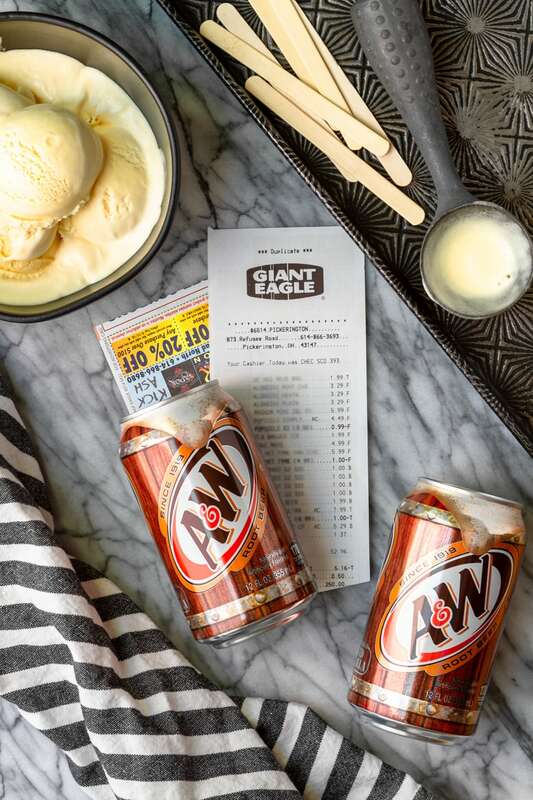 If I haven’t convinced you that you NEED to try these root beer float popsicles yet, maybe this excellent coupon will… Save $1.00 when you purchase two 2-liters or one 12-pack of A&W Root Beer at Giant Eagle. I love how Giant Eagle makes saving money easy with their digital coupons! 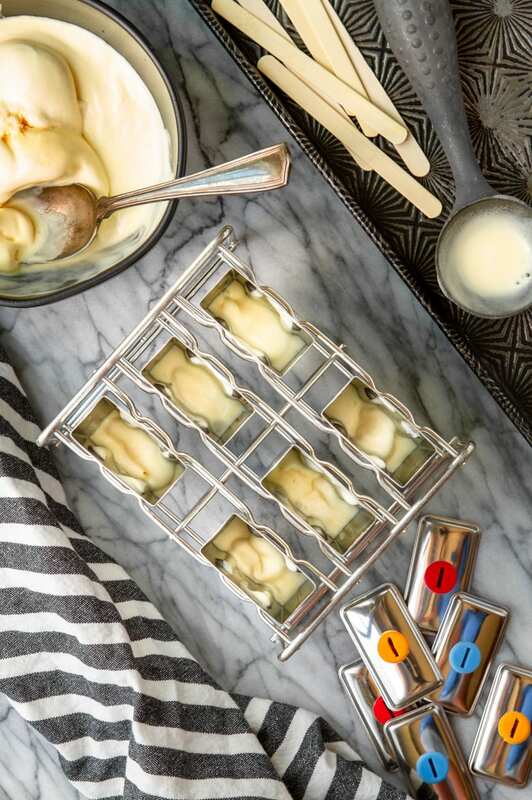 I’d love to see how your root beer float popsicles turn out… Tag me @Unsophisticook on Instagram or use the hashtag #Unsophisticook so I can check it out. Enjoy! What a cute idea! I haven’t thought of root beer float paletas or frozen pops before! EVERY SINGLE TIME we go to Red Robin (torture for me, heaven for the family) my youngest gets a root beer float. He would flip for these! And every day after a long day at work, I get home, he already ate dinner and asks for dessert. Well, this could be a solution for that. Cute post! Great recipe! Thanks! Really like this ice cream. Thanks for the great recipe. These popsicles are SO fun! Makes me want to run out and buy everything I need for them. I was totally craving a root beer float the other day…and now I want these! Just pinned…thanks! My kids LOVE root beer floats! This is perfect for them! Wow this is so creative! What a great and unique way to enjoy a root beer float on a hot day day! These are so much fun and I have a husband and 7 year old who are going to be obsessed with them! 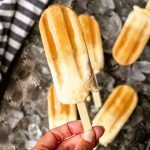 Such a great idea to do root beer floats in popsicle form! Wow what a blast from the past – I haven’t had an ice cream float for years but used to LOVE them as a kid. This is the cutest idea for popsicles (we call them ice lollies over here in the UK!) – would love one of these this afternoon in the blazing sunshine. Yum! These look so refreshing and summery!